The hour before dinner in our house is always difficult because the kids can’t help but get restless waiting to eat and waiting for my husband to get home from work. In an attempt to avoid taking out every single backyard toy, I came up with this simple game that kept them busy and didn’t leave the yard a mess for me to clean up! If you have a walkway similar to mine you can use each stone individually. If you have concrete you can divide it up into squares and play. I used sidewalk chalk to write down the sight words that my son is working on. I also drew some pictures for my daughter to color in to keep her busy. 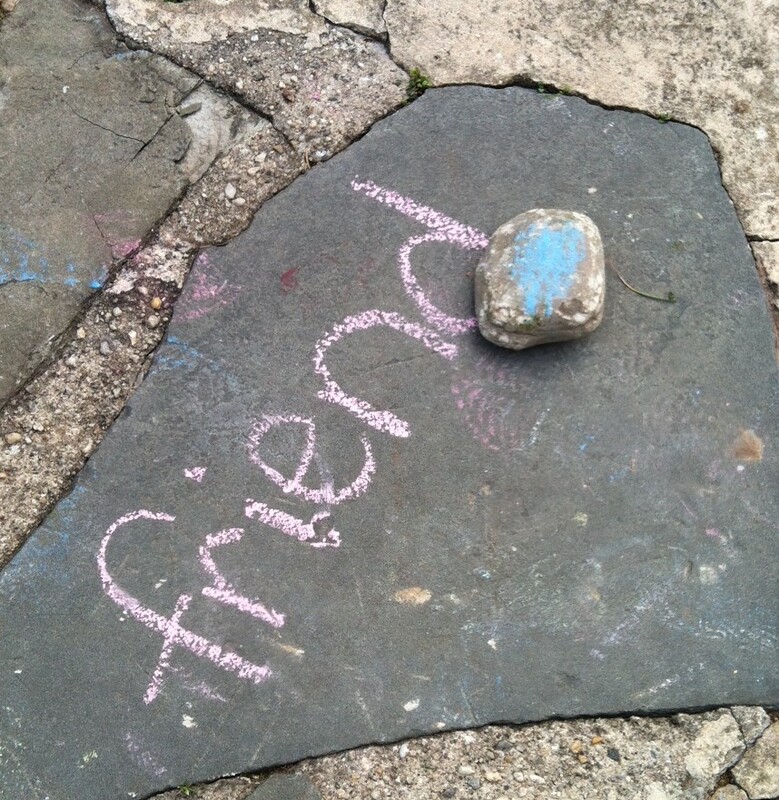 I had my son pick out a rock and instructed him to toss his rock onto the walkway filled with words. Once it landed on a word he had to run to it, say the word, then bring the rock back to me. It was such a simple game, but it kept him busy and helped him practice his words! 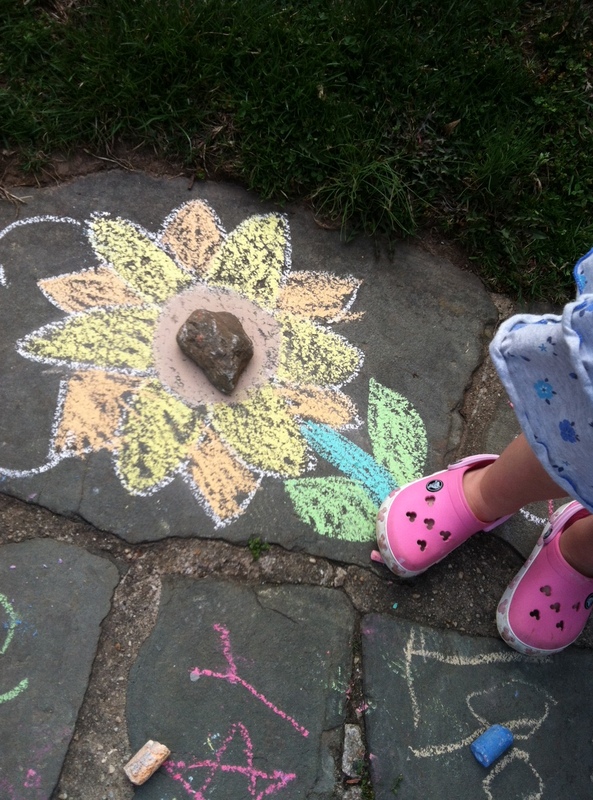 *Write letters on the stones to practice upper and lowercase letter recognition. *Write numbers on the stones and use 2 rocks. Have your child add together the two numbers that the rocks land on. *Draw pictures with your kids and have them tell you the first letter for each picture and the sound that it makes. 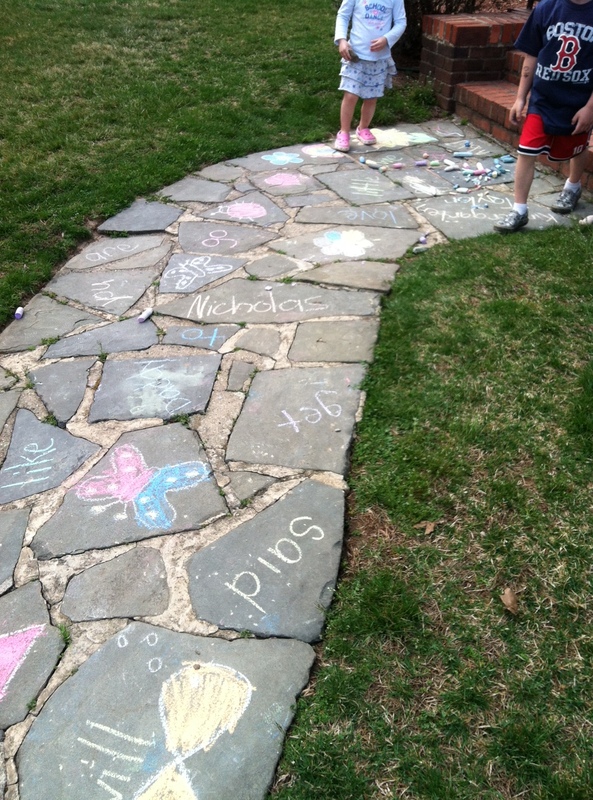 The possibilities are endless and the only thing you have to do is collect your sidewalk chalk when you are finished!